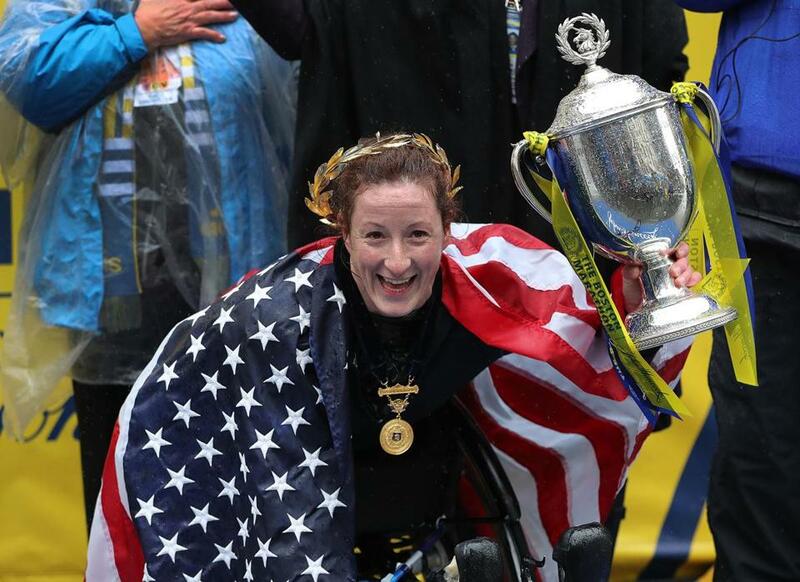 Women’s wheelchair winner Tatyana McFadden during the ceremony at the finish line. 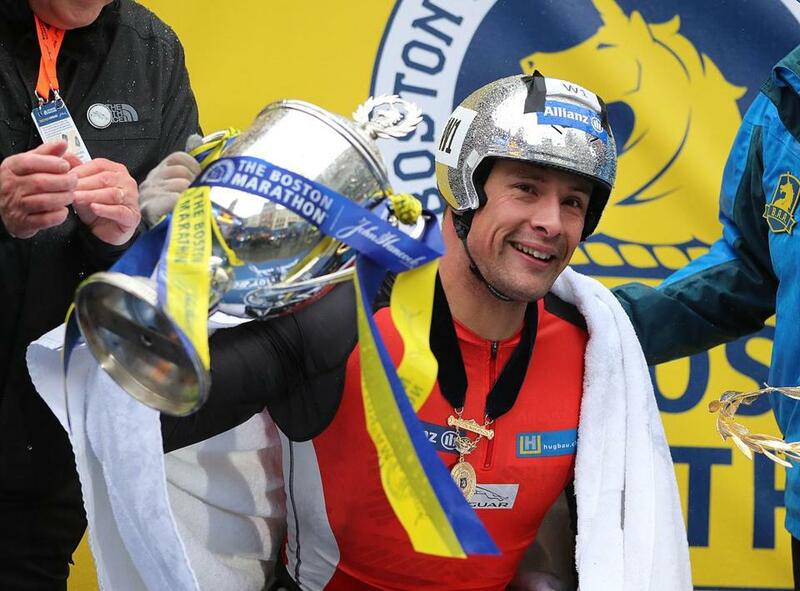 Men’s wheelchair winner Marcel Hug. 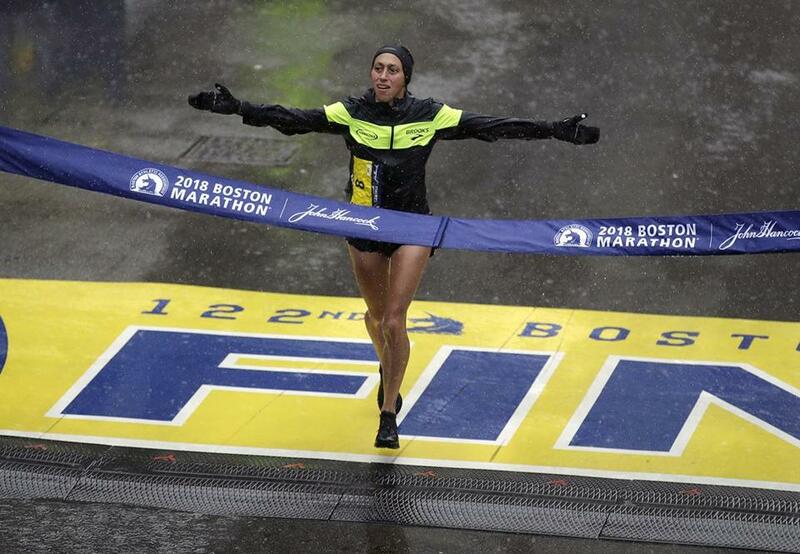 American Desiree Linden won the elite women's division. 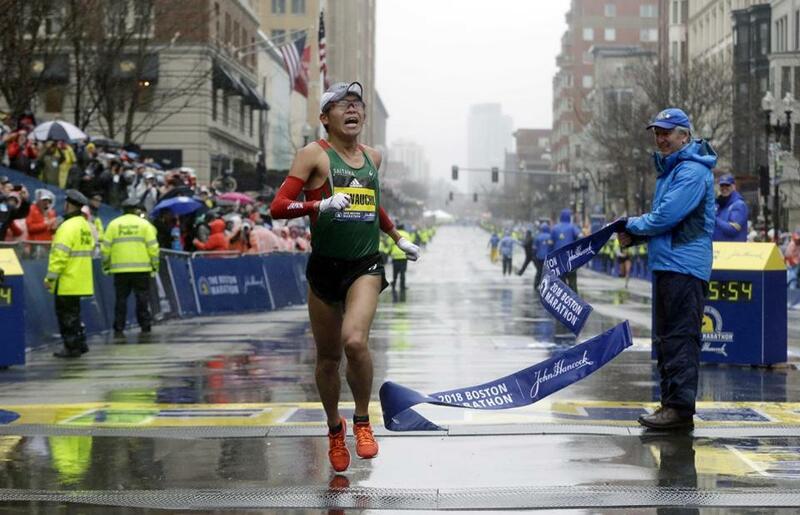 Yuki Kawauchi, of Japan, won the elite men's division.